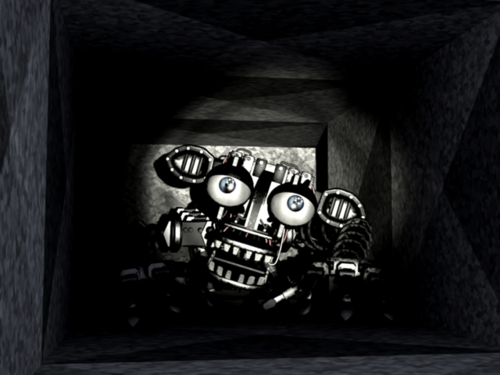 Game Screenshot. . Wallpaper and background images in the Five Nights at Freddy's club tagged: photo fnaf 2 endoskeleton. 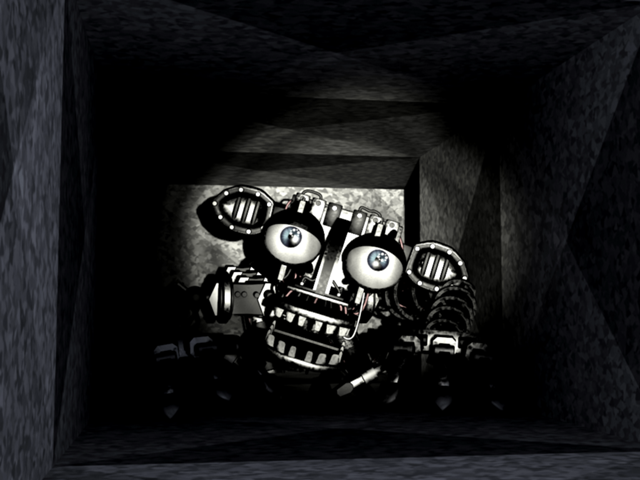 This Five Nights at Freddy's photo contains سائن ان کریں, پوسٹر, متن, چاکبورڈ, نشانی, and تختۂ چاک. There might also be fleur de lis کے ہوں, fleur ڈی لیس, فلیور ڈی لیِس, فلیور ڈی لس, کمرے سے کمرے رہنے, بیٹھے کمرے, سامنے کے کمرے, پارلر, لونگ روم, بیٹھنے کے کمرے, بیٹھک, lectern, پڑھنے کی میز, لیکٹیرن, and ریڈنگ ڈیسک. I have a therie that edoskeleton is golden freddy's because golden freddy just slumps around and in the 2nd game 'phoneguy"said that someone used a yellow bear costume and got some kids in the back room and murdered them.